I’m talking about little things that pretty much everyone hates. And if everyone hates something, why can’t we just all agree to stop supporting it? And then maybe it’ll go away. The boxes are staring at me. And I think they’re judging me too. 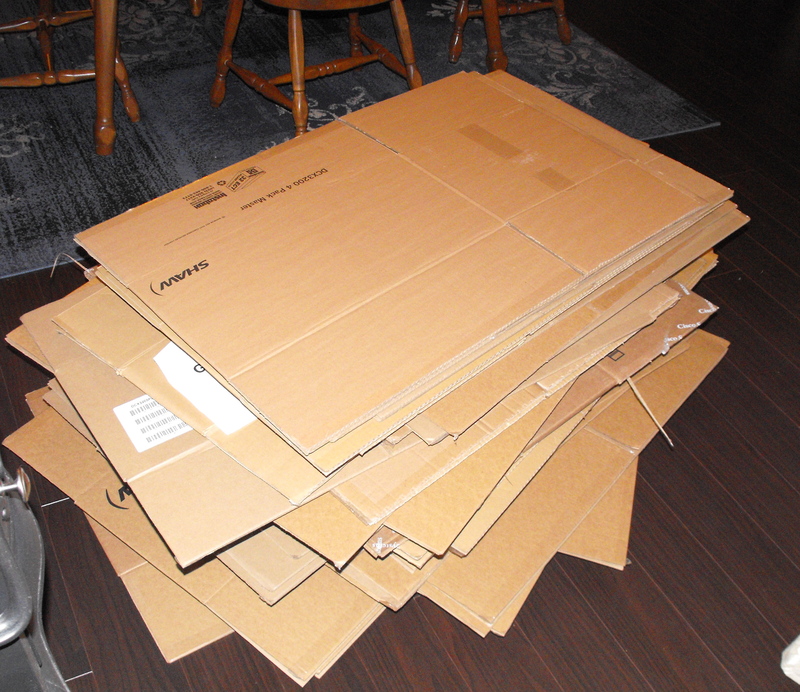 In the middle of our floor, between the living room and the dining room, is a large pile of cardboard boxes. They are something of an eyesore, yes, but more than that, they are clear evidence of a big huge project that has yet to be begun. We brought these boxes home last night and the plan is that we will put all of our things in them. It’s daunting. I look at them and I feel daunted. And taunted. I’m pretty sure the boxes are judging me for letting them sit in the middle of the room and not doing anything with them. So. We sold our beautiful little apartment. This is bittersweet because it really is a lovely apartment. It has cool tiling and a gigantic walk-through closet. It was also our first foray into real estate and we’ve been really happy here. But we want a bigger place. Not huge or anything. Just big enough to have another room to put guests in instead of having them on the floor. This is not our apartment. I found this photo on House and Home magazine's website. We do have a white couch though.